BOO HOO BOMB BOY: JIHADI LOSES IT AS HE’S SENT OFF TO BLOW HIMSELF UP……. – The Tundra Tabloids……. 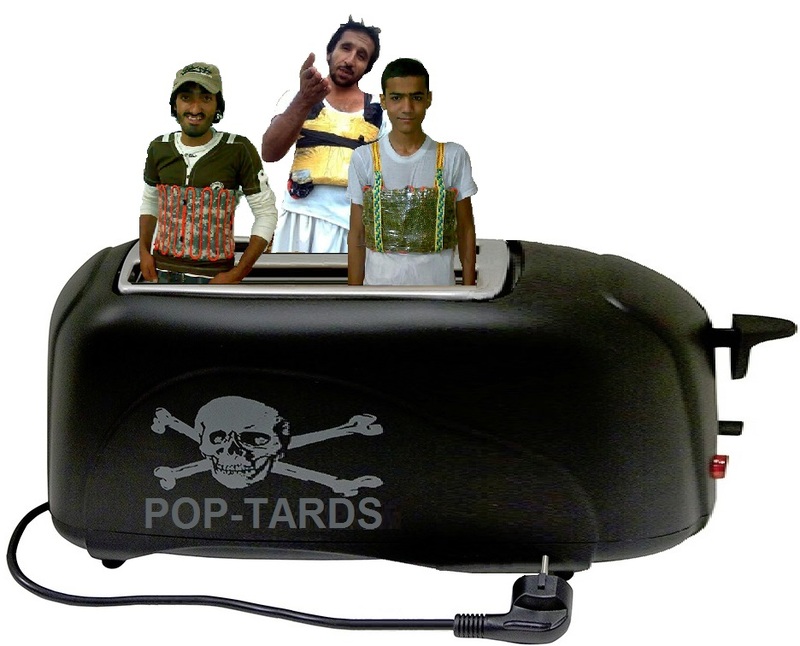 BOO HOO BOMB BOY: JIHADI LOSES IT AS HE’S SENT OFF TO BLOW HIMSELF UP……. Cry not for the pop-tards. The moment he wakes up to the reality that, part of that job description for killing “infidels”, is that you’re expected to blow yourself up as well. A jihadist suicide bomber was filmed breaking down in tears before being sent to his death in war-torn Syria. The frightened fighter, named as an Jafar al-Tayyar, from Uzbekistan, is seen being comforted by his fellow militants moments before he launches his deadly attack on Shi’ite town of Fua in Idlib Province – an Assad regime stronghold. After he climbs into the explosives-packed armoured personnel carrier, the young man starts sobbing. An fellow militant says: “Jafar, my brother, don’t be afraid. When you are scared, remember Allah,” the militant says. Previous Post Previous Post HEAD OF FINNISH INFECTIOUS DISEASES SAYS NOTHING TO WORRY ABOUT, THEN UNDERMINES HIS ASSURANCES……. Next Post Next Post FINLAND: FORMER FM ERKKI (YELLOW TEETH) TUOMIOJA SLAMS SOINI FOR DEFENDING FINNISH SOVEREIGNTY……. NO surprise here. In Israel we have seen this phenomenon many times. Suicide bombers are recruited among the outcast and the desperate. Their handlers have used the mentally challenged and women who have dishonored their families. In most cases the bombers are bought new clothes (to wear for that 72-virgin first date? )and are heavily drugged. The promise of funding for their families is one incentive offered by terror groups such as the Hamas and the PA. The evil of that ideology knows no bounds.